It’s the beginning of yet another month, which means one thing and one thing only: automakers are reporting their sales for the previous month. May 2015 was a pretty good month for Toyota, with 242,579 units sold, making it the number one retail brand for the month. Though impressive this actually marks a very slight decrease of 0.3% from May 2014, but Toyota’s not going to let a little number like that get in the way. Toyota division moved a total of 212,908 units, which was down slightly volume-wise, but up 2.2% on a daily selling rate basis. Top sellers for the month included the Camry (around 44,000 sales), the Corolla (36,768 sales), and the RAV4 (28,808 sales). 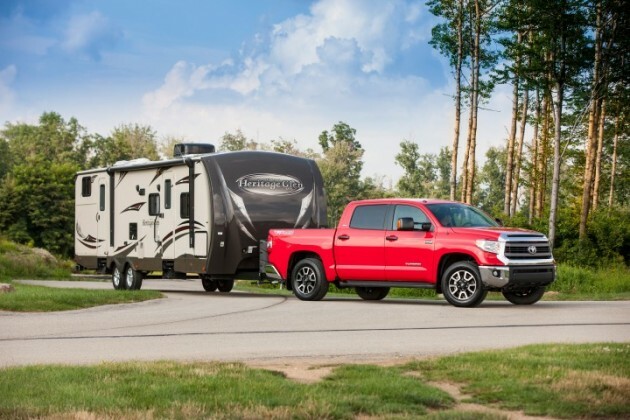 Light truck sales were up 15.4%, with combined sales of the Tundra and Tacoma surpassing 29,000 units. Additionally, the Highlander was up a massive 25.2% when compared with sales in the same period of 2014. As we reach the end of the first half of 2015, the heat is on for Toyota to retain its crown as one of the top automakers in the US.